Did you realise that there is an entire world outside of London? I know it’s difficult to imagine but trust me there is. 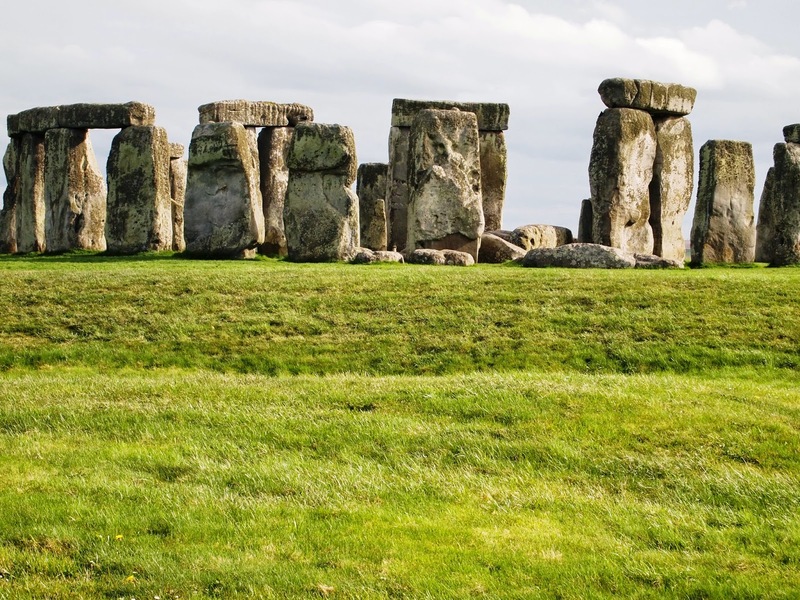 It’s a strange, magical sort of place that includes sites such as the countryside (ooh) and Stonehenge (aah). Stonehenge. It’s where every tourist worth her salt goes when in England. How had I made it six months in this country without having gone to see it? It was a bit disgraceful really. I had been staying outside of London for three weeks now and all of my time had been taken up with work. When I wasn’t at the V&A, I was working on reports and helping my friends house hunt in the most expensive part of the country. By the third weekend we were all terribly stressed. 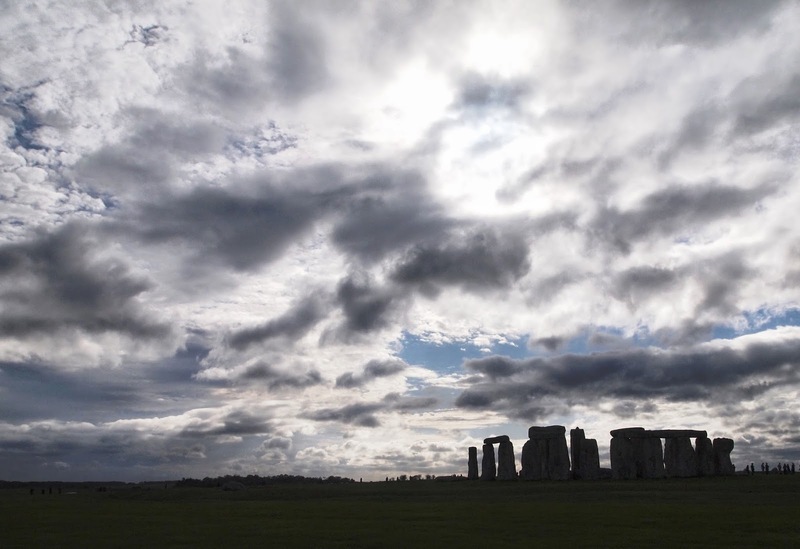 When Camilla suggested we go to Stonehenge, I leapt at the opportunity, even if the kids groaned in the background. My first glimpse of it came from the A303. 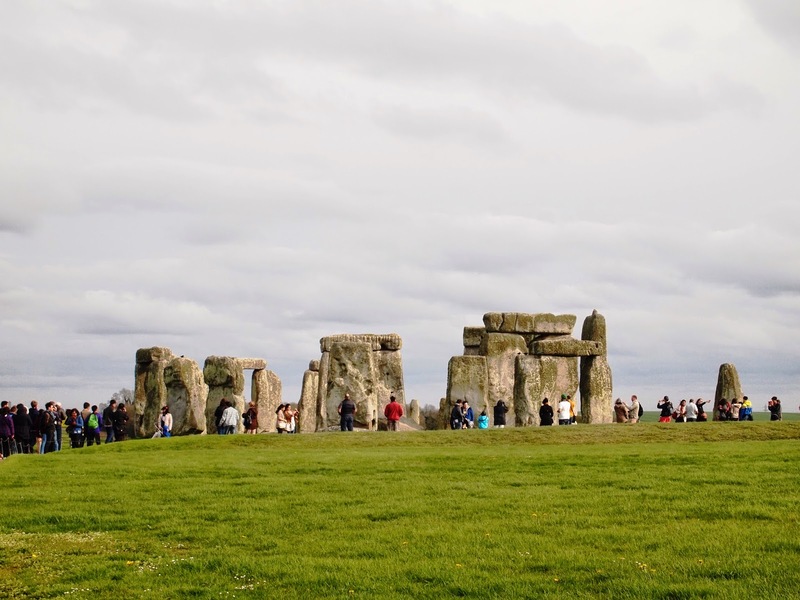 There was a slight traffic jam caused by everyone slowing down to take pictures of the ancient stones brought seemingly for no other purpose than to confound passing motorists. It looked just like the pictures I had seen in books and on countless television programmes. We parked in the new car park and headed over to the brand new visitors centre. It had only been open since December. 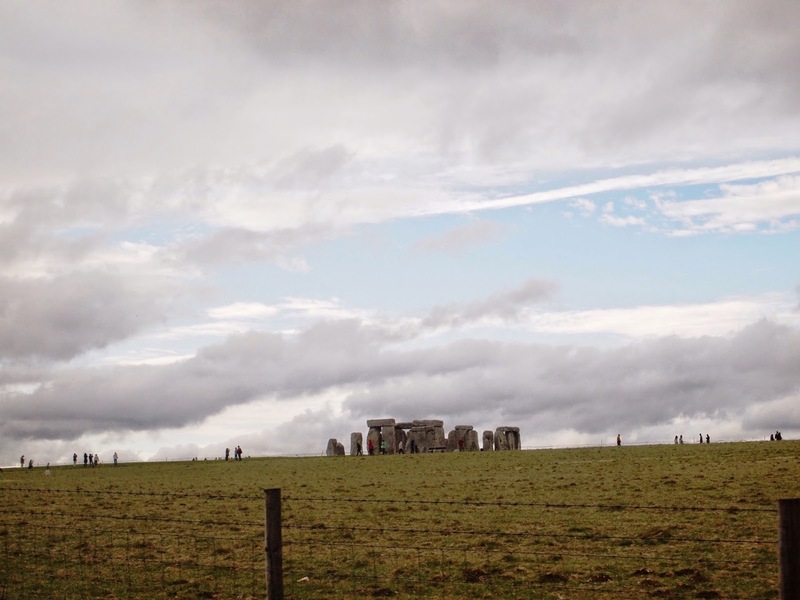 I managed to pass for a nineteen year old and we all boarded the coach which would drop us off near the stones. I was armed with an audio guide and my camera, ready to capture the moment and learn about why on earth these stones were brought here. It was chilly when I stepped off the coach. I shivered slightly even though the sun was brightly beaming onto the lichen covered stones. There it was. There it was. 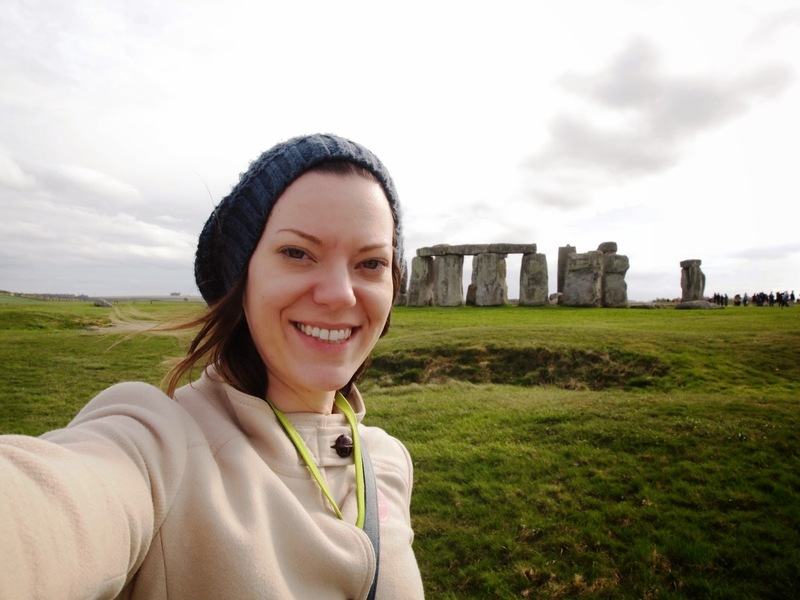 I was finally seeing Stonehenge with my own eyes. The light rays were bouncing off of those stones and passing through my lenses onto my retinas. It was real. It was tangible. 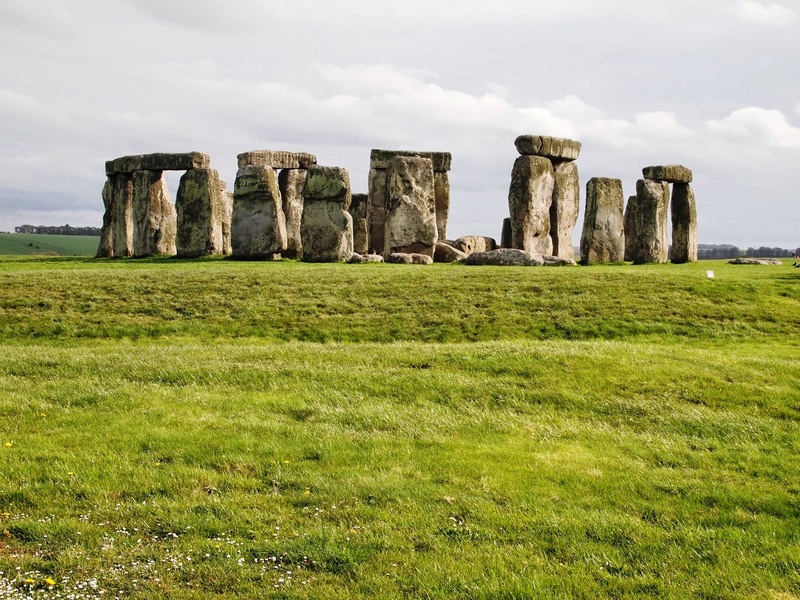 I had read the guide book during the car ride and now I listened to the voices of archaeologists and academics describing the differences in the stones. Sarsens are the large stones and they were quarried about 20km away. The smaller ones are the bluestones from Wales. It hadn’t always looked like it did now. It started off as just a dug out ring in the earth. Then there were wooden posts. Burials took place here, and eventually stones were brought and arranged and rearranged. Thousands of years of sunrises and sunsets had passed over those stone sentinels. Thousands of years of human came and saw and wondered and dreamed. Thousands of years of stars had danced across the sky. And now I was standing there. I slowly walked all the way around. Moving slowly, looking at every piece, at every barrow nearby, trying to capture the landscape in my mind so I could return there whenever I wished. I had forgotten the cold. I no longer felt it. Curiosity and wonder has a way of warming the human spirit. It was time to leave the circle and I looked back once to fix it in my mind before boarding the coach and heading away from that most excellent of sites.